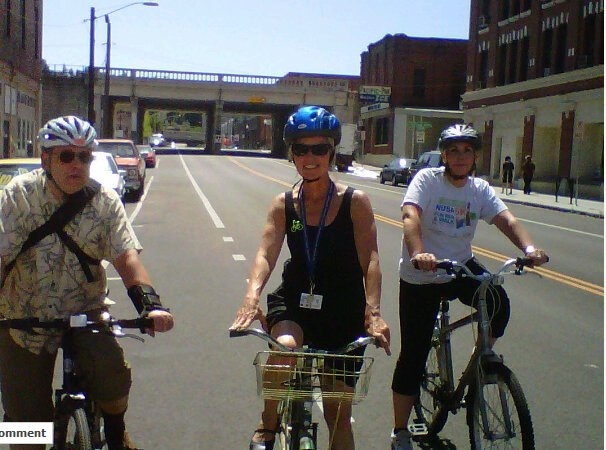 Spokane Mayor Mary Verner (center) rides on the bike lane on Jefferson, part of the new downtown Spokane loop created in 2011. Things Mary does: I’m a content mom and grandmother working as mayor to improve my community. Who or what made a difference in your life that got you on a bike? I lived in sunny Florida with a broken-down car and a commission-based job. I started commuting to work and got hooked on feeling healthy! Tell us about your bike(s) and accessories. I have an inexpensive street bike with no accessories and an antique (1938) road bike that was used during the construction of Grand Coulee Dam. What type(s) of riding do you do? How often, what destinations, and how far? Recreational riding, usually 10 miles to restore the spirit on the Centennial Trail on the weekends. Occasional commutes to/from City Hall when my daily schedule allows. What’s the most common question you get asked when you bike somewhere? When are you going to fix the potholes (or sweep the bike lanes!)? What do you usually wear when you ride? Comfortable shorts or slacks, shirt depending on activity/destination, flat street shoes. I keep a change of clothes at the office. What things do you wish were different about your bike and gear or women’s clothing or both that would make it easier to bike and look good, if this is something you give any thought to? Or at least bike and be comfortable. Need a dark wash-‘n-wear suit that’s lightweight and suitable for biking so all I have to do is unclamp the pants leg and change shoes and I’m transformed from biker to business woman. What does this area need to make it an even better place for women to ride their bikes? 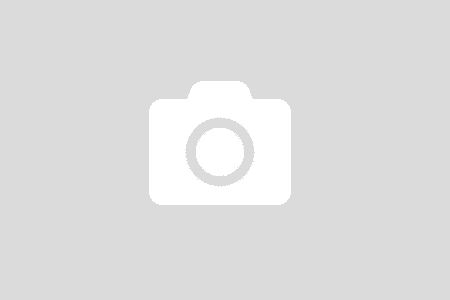 Equal acceptance of women’s rights to wear casual clothing in the professional workplace. What’s your proudest biking accomplishment? Three-woman bike camping trek from Portland, Maine, through Nova Scotia, Montreal, Vermont, New Hampshire, and home via Boston. What question didn’t we ask that you really want to answer? What size seat do you use? Know someone we should profile? Is it you? Email us! info-at-bikestylespokane.com. Previous post: Thanks, Mr. Pickup Driver. I Mean That. Next post: Grocery Run: Impossible! go Mary–I love to see you out on your bike. Thanks for being a friend to all of us who bike Spokane.